One thing you need to know about me, if you didn't already, is that I love sea shells. Every time I visit a beach, bringing back some gifts from the sea is a must on my list. I didn't have the best of luck finding shells in St. Thomas. Honestly, there are no shells. The Caribbean tide doesn't bring in a new selection of shells to choose from…or any shells at all, as I'm used to finding on the Florida beaches. With my determination to find some shells, I found a quite, little private shore on the Great Bay. 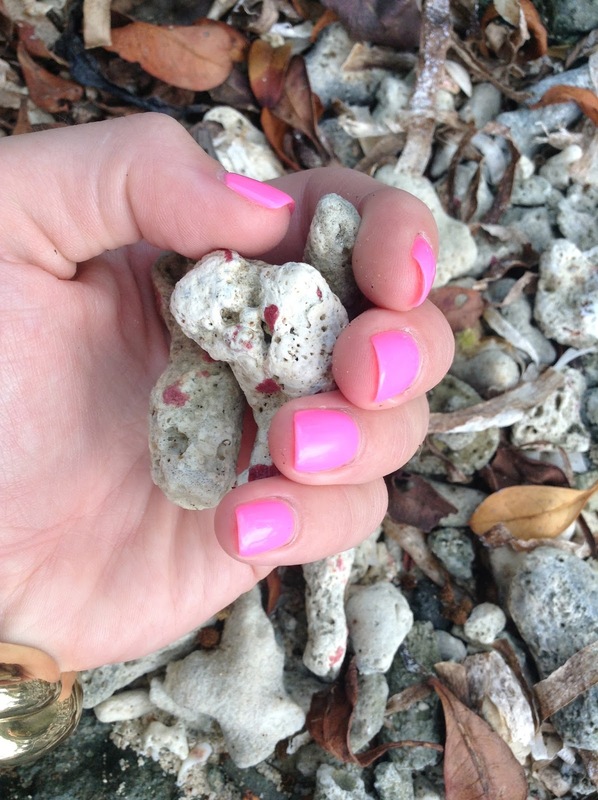 I didn't find the shells I'm used to collecting, but even better, the shore was covered in pieces of coral. As you can see, they're speckled with pink, so I was excited to collect some. 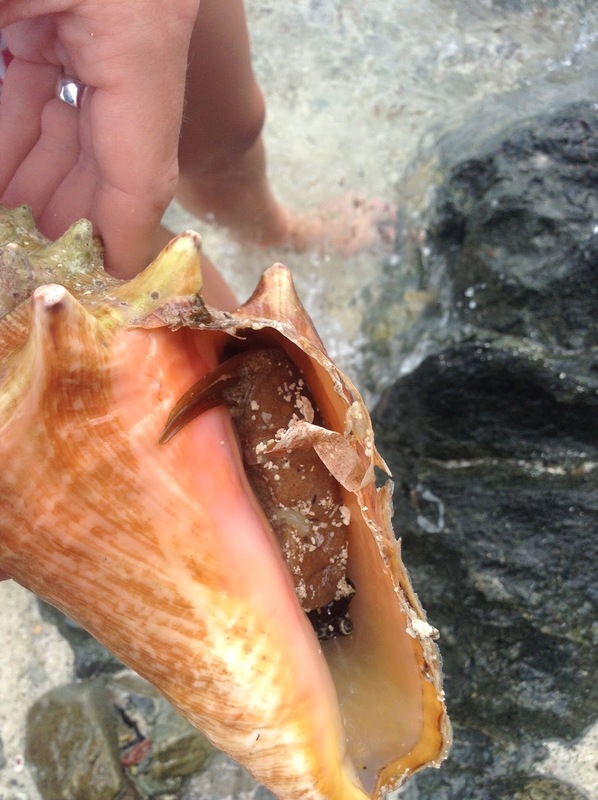 I also found a conch sitting on the edge of the shore. 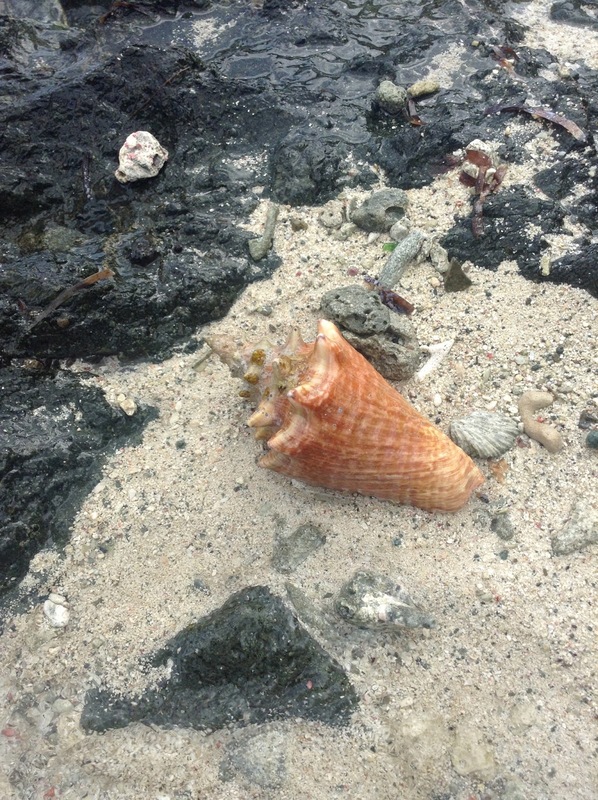 As excited as I was to find it, I couldn't take it home because it was still being occupied (notice the conch and his beady little eyes peeking out in photo #5). Although this wasn't the type of "shelling" I'm used to, I was able to add something different to my shell collection this time! Where is this precious tunic from?! 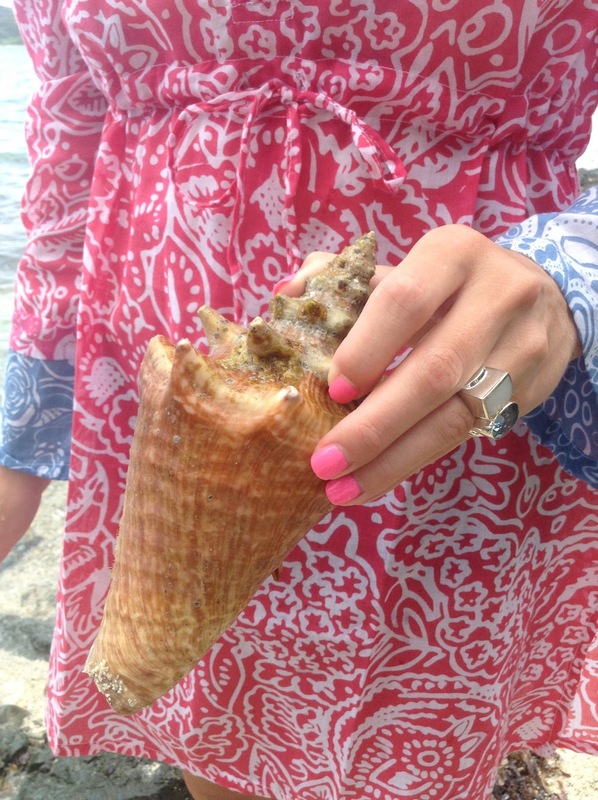 Searching and finding shells has always been one of my favorite things to do ever since I was a little girl. I also love your tunic! When I get married I want to start a tree with ornaments that have some sand in it from each beach that we have been together and a couple of little shells and the name of the beach inside of it!